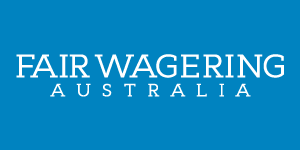 We couldn’t end the year without awarding Fair Wagering Australia’s “Worst Bookmaker 2013”. We determine the worst bookie to be the one that is the most unfair to punters – particularly those that happen to win more often than they lose. It was a very strong field this year, headed by UK-owned Ladbrokes, Bet365 and Sportingbet, but honorable mentions also go to the homegrown Luxbet and Betezy. But there can only one winner. Envelope please. Drumroll…..
And the winner is…. Bet365!!! To accept the award, please welcome American film and television actor Samuel L Jackson. Thanks Samuel, short but sweet. An unethical bookie where winners are shown the door with astonishing haste. Winning accounts are closed, successful clients are offered minuscule bets. Bets are rejected, prices are cut. Restrictions are placed, bonus winnings are removed. Bet365 operate under an appallingly one-sided set of terms and conditions which even in the words of the compliant Northern Territory Racing Commission are “harsh” and “restrictive”. The same regulator even hauled a representative before the commission to fully explain their practices. It has also become clear in recent times that Bet365 is to TV cricket coverage what Tom Waterhouse was to the NRL. 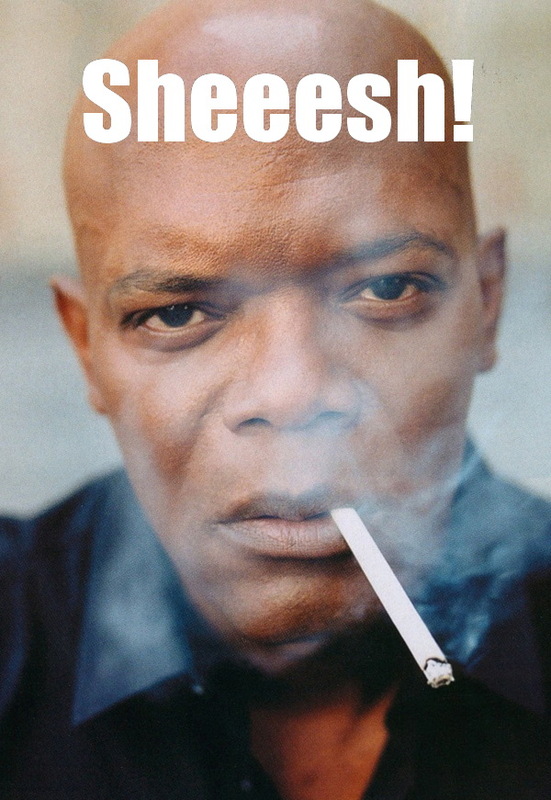 You can’t watch a boundary scored without a Bet365 logo in your face or a Michael Clarke century without a follow up Samuel L Jackson TV spot. Waterhouse at 8pm on the NRL is one thing, but copping it in the middle of the afternoon during the country’s most popular national family sport is another thing altogether. Targeting kids? Doubtful. Irresponsible? Absolutely. How have Bet365 largely escaped the tirade directed at Tom Waterhouse after his irresponsible over saturating advertising? Cricket Australia and Channel Nine must assume some of the blame as well. While it’s clear that operations in Australia haven’t all gone according to plan – the local arm is believed to have lost AUD$36 million in its first year (in-play restrictions hurt immensely) – the company certainly is a Goliath. On figures from its last financial year of reporting (ending March ‘13), operating profit was up 54% to AUD$327 million on a staggering turnover of in excess of AUD$36 billion from over two million active clients. Previously, the non-listed privately-held company has rarely shared its financial numbers. The family behind the multi-billion dollar enterprise – Peter Coates, his daughter Denise (CEO), and son John, are worth over AUD$1.7 billion – just 13 years after they launched the firm. The family’s controlling interest in Premier League football club Stoke City actually drained the company of over AUD$50 million last year. But the most mind-blowing number is that the company is sitting on over AUD$780 million of cash reserves. Sheeeeeshhh! indeed. Apparently, one doesn’t accumulate that sort of wealth by betting both winners and losers. It’s more a case of one winning family and millions of losers. We say that having a bookmaker’s license in Australia shouldn’t just be a license to print money. It’s a form of gambling where winners have to be tolerated. Bookmakers must be forced to bet both losers and winners to win a reasonable amount. Bookmaking needs to get back to being a duel between oddsmaker and punter, not a one-sided massacre. So congratulations go to Bet365, Fair Wagering Australia’s Worst Bookmaker 2013. Stay tuned to the FWA in 2014 as we continue our quest to bring back fairness to wagering in Australia. I have put together a draft Code of Conduct for Corporate Bookmakers in Australia. I feel it is a fair Code of Conduct and considers bookmakers needs and potential liabilities, yet provides a fair market place for punters. It is a code that if introduced, both punters and bookmakers can have confidence in the integrity of the market place they are betting into. It also presents a straight forward solution to the so-called “untenable on-line conditions” that the Northern Territory Government put forward as to why they abolished their minimum bet rule for corporate bookmakers. I have taken the code to the top regulatory bodies in racing in Australia and have sent it to some of the corporate bookmakers in Australia to get their opinions. I organised a meeting and presented the Code of Conduct to Australian Racing Board Chairman John Messara and CEO Peter McGauran. They believe it to be a credible Code for bookmakers and punters on the issue of corporate bookmaker obligations and account restrictions. The ARB is acutely aware of the issue due to the significant number of complaints received from disgruntled punters and is considering the issue. The issue was tabled and discussed at the ARB’s December board meeting. I will be in touch with the ARB on the way forward in the New Year. I organised a meeting and presented the Code to Peter Fletcher, CEO of the Australian Bookmakers Association. The ABA is the peak body for on-course bookmakers in Australia. The ABA tabled the Code for discussion at their annual general meeting that was held a week ago in Perth. The ABA has fully endorsed the Code. They have written to the ARB suggesting that the ARB work with state regulators for the Code to become legislation Australia wide. On-course bookies are rightly very angry and disillusioned with the unfair playing field they are subjected to. They are enforced to bet all comers while corporates hide up in the Northern Territory and other lax jurisdictions and pick and choose who they want to bet with them. I have heard rumours that if things don’t change quickly, and corporates are not made to have obligations set on them as well, on-course bookies will no longer acknowledge betting obligations placed on them. If on-course bookies did do this, it would have serious implications for the horse racing industry. Market place integrity would disappear overnight along with a lot of punters. I will continue to work closely with the ABA. The AWC is the peak body for corporate bookmakers in Australia. I emailed Chris Downy, CEO of the AWC, a copy of the Code and a request for a meeting. To Chris’s credit he said he would look at the Code and is happy to meet in the New Year to discuss. I emailed David Attenborough, CEO of Tabcorp, a copy of the Code and a request for a short meeting to discuss. Unfortunately, Tabcorp were not interested in meeting with me to discuss the Code. Tabcorp had a change in management in their fixed odds team roughly 18 months ago. Since that change they have gone to great lengths to get rid of winners. Luxbet is just simply banning any successful gamblers from their fixed odds service. Tabcorp’s own fixed odds department now pick and choose when it suits them to accept bets from clients. They also drastically reduce the size of bets cash punters can have at TAB agencies as soon as they think a winning cash punter is betting at a particular agency. If you’re losing you can have $5,000 bets, if you start winning they’ll cut the whole agency to maximum $50 bets. This is to the determent of all other punters frequenting the agency not to mention the betting turnover incentivised franchisee operator. Changing bet limits in this way is very likely to be against the regulatory framework Tabcorp are bound by. Tabcorp’s behaviour is how the online industry works now. Corporates do whatever it takes to stop punters winning for the sake of their bottom line, with little regard for market integrity. Tabcorp consider themselves one Australia’s leading corporate citizens, this conduct in my opinion doesn’t fit this ideal. I had a brief conversation with Nick Xenophon and left him with my thoughts and what I am campaigning for. He is to consider all this and be in contact with me in the New Year. I have been scathing in my assessment of most corporates. In the interests of fairness, I would point out that when I bet, I bet with Lloyd Merlahan’s Topsport, Mark Morrisey’s Unibet and the Tatts Group owned Unitab. These are three outfits that I, and all other punters I have spoken to, consider to be fair and will always bet you to win a t least 1k. Give them a try if you like. Obviously some people will agree and some will disagree with the Code I put together. Please give your feedback in the comments section below. I am aware that a lot of punters bet on sport and they also need to be considered. Hopefully, if bookies agree to this code, common sense will prevail and sport will be included in the Code of Conduct. While I am getting racing administrators to look at the codes viability for horseracing, sport has to be left out, as they have no jurisdiction over sport. If I’ve achieved anything out of the noise I have been making it is that now at least all of racings most senior administrators know about the issue. Racing administrators need to deal with this issue swiftly and decisively in the New Year. Punters deserve a fair marketplace. If racing administrators believe corporate bookmakers should be allowed to behave like they do, then they need to let us all know. Then at least we can all vote with our feet. Let’s hope for racing’s sake it doesn’t turn into a stampede.